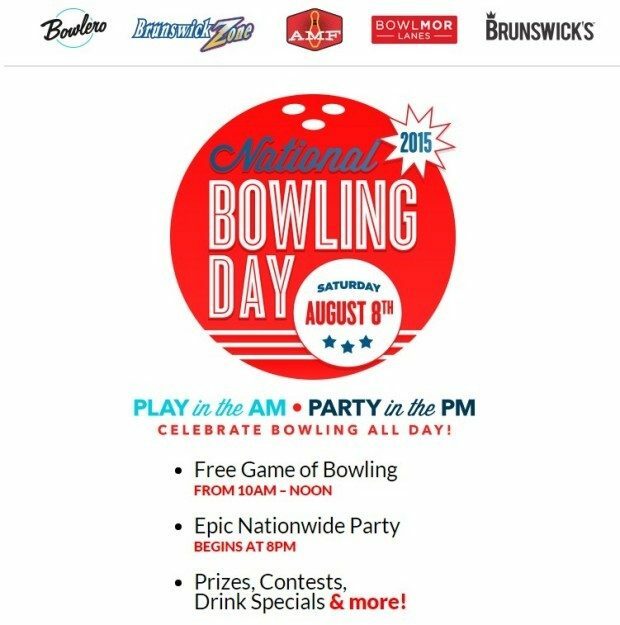 FREE Bowling On National Bowling Day! You are here: Home / FREEbies / FREE Bowling On National Bowling Day! This year’s National Bowling Day is coming up! On 8/8/15 you can get your family and friends together and go bowling for FREE! I pretty much grew up in the Bowling Alley where I lived, mu Mom taught bowling and I bowled in leagues my whole life. So, I LOVE to go bowling and what’s better than FREE?! So, click here to find the nearest participating lanes and get all of the details!